Pretty Secrets 3pk Nighties 46in is rated 4.9 out of 5 by 15. 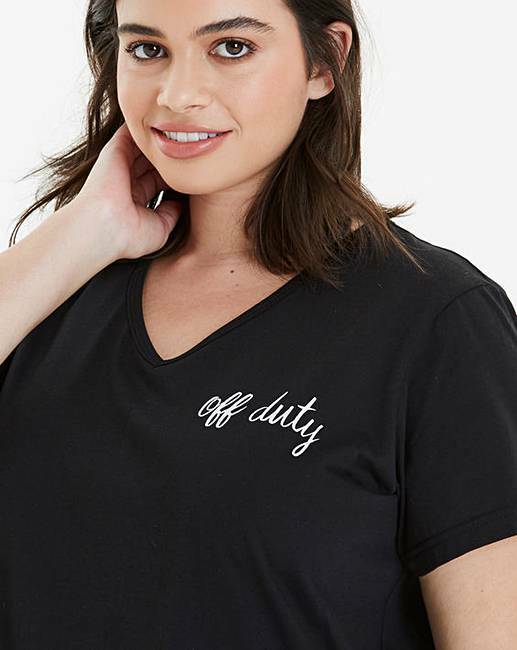 Channel off duty style in these Pretty Secrets 3 pack nighties. 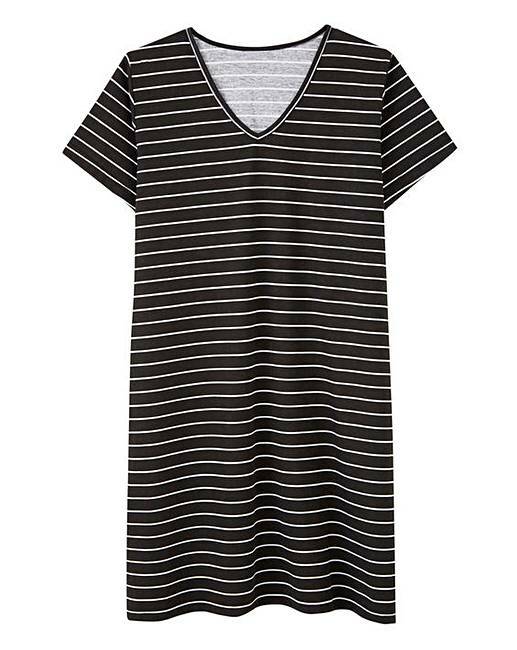 In classic monochrome, featuring short sleeves and a flattering V-neck. 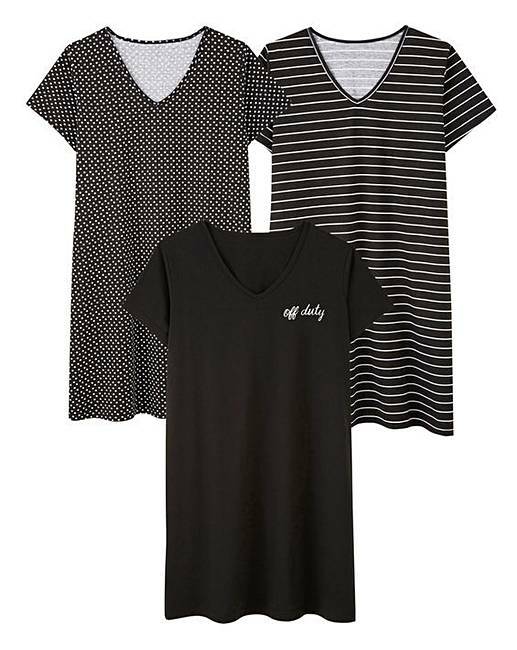 This three pack of nighties are perfect for relaxing around the house. Rated 5 out of 5 by wolveswench from Well made! Bought a pack of these long nighties and bought the largest size available as I like plenty of room. They were extremely well made, lovely soft material, very comfortable and generous in their size. I wear nighties all day as house clothes as I am disabled and these were perfect. Much better than the last ones I bought from JD Williams last year. I can't stand logos and plastic quotes on the front. I just want a plain and simple nighdress and these were perfect. I am 5'8" and they were down to my shin. Excellent value for money. I will buy these again if available. Rated 5 out of 5 by Jules from Good quality, great length. 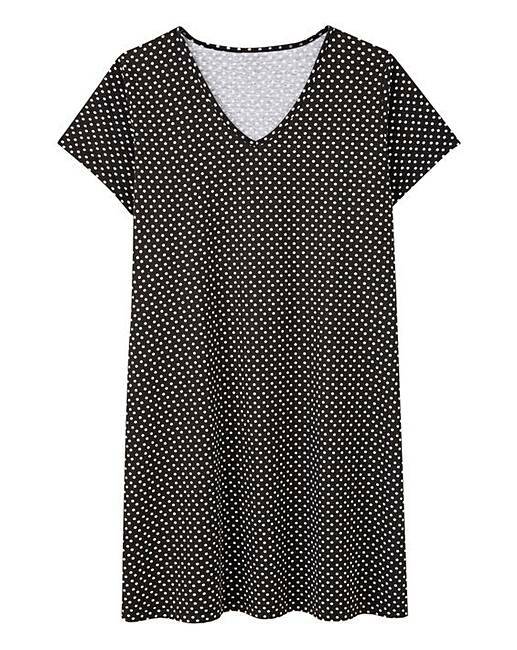 Love these nighties, just what I was looking for! Great value. Rated 5 out of 5 by E Fowler from Comfortable Love Pretty Secrets nighties. They wash well, are soft and snuggly. Do note however that the polka dot one has the spots printed on the fabric and I found these to be a little scratchy until washed several times. Rated 5 out of 5 by Scotty from Lovely nightwear. Bought these a couple of weeks ago. Fantastic quality and price. Cosy and comfortable and they look great.